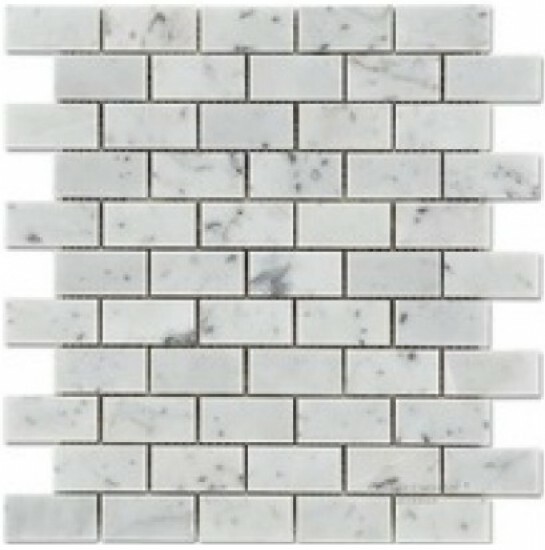 This fine quality Carrara marble brick pattern tile is a flawless way to give a classy look to any space. 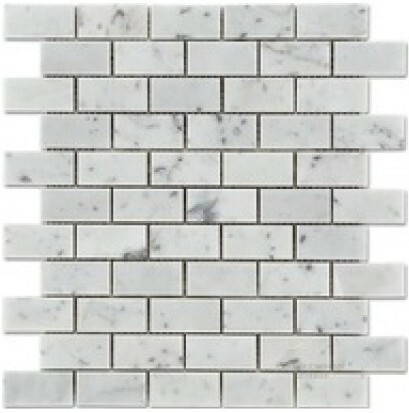 The white Carrara marble mosaic tile comes in chips of 1 in. x 2 in. 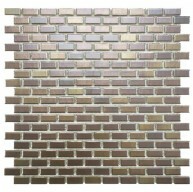 mounted on a mesh net, the chips are arranged to make an interlocking brick pattern tile. 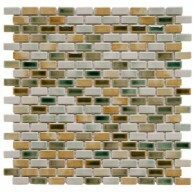 Each mosaic tile is 12”x12” mesh mounted mosaic tile, which approximately covers 1 sqft. area. The surface finish of the tile is polished, a smooth shiny finish which brings life to space. The Carrara marble tile is constructed from 100% natural Carrara Stone. The tile is recommended to be installed in variety of areas such as bathroom floor & walls, kitchen floor & backsplash and accent walls.